Overhead garage door supplies: No matter what you are looking for in an overhead garage door, you can be confident that you will find it at Overhead Door Company of DFW. 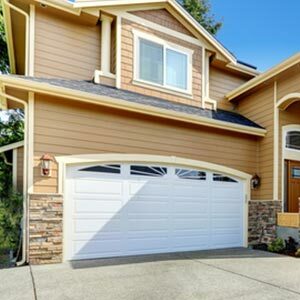 As the leading garage door supplier in Grapevine, TX, we are able to provide a wide variety of garage doors in all different materials and styles. We provide more than just a door: we provide a quality product that you can be proud of. 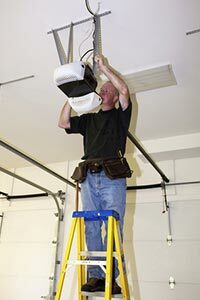 Overhead garage door repairs: If your garage door won’t go up or down properly or its just making a sound that doesn’t seem right, it can prove frustrating and bring your whole life to a halt. That’s why at Overhead Door Company of DFW, we offer repair services as well. Our dedicated team of experts will be able to diagnose your garage door problems and get your life back in motion. Garage door installation: We pride ourselves on our ability to consistently provide quality craftsmanship and quick and easy garage door installation in Grapevine, TX. Our dedication to providing the best in quality overhead garage doors and excellent customer service is what has made us the premier choice for garage door installation in Grapevine, TX for over 40 years, for both residential and commercial customers. Dock equipment: While other garage door suppliers in Grapevine, TX may only offer overhead garage door supplies, Overhead Door Company of DFW specializes in dock equipment as well. From dock levelers, seals, bumpers and more, you can be confident that you will find what you are looking for in our exceptional inventory of top quality equipment. Whether you are looking for dock equipment, garage door sales and services, or garage door installation in Grapevine, TX, give us a call today at 817-481-5502 and discover why Overhead Door Company of DFW has been the best source for all things garage doors since 1973.